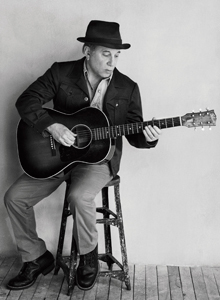 Paul Simon will give the 2013 Richard Ellmann Lectures in Modern Literature at Emory University Feb. 10-12. Photo by Mark Seliger, 2011. Paul Simon, whose lyrics have graced several generations worldwide, will give the 2013 Richard Ellmann Lectures in Modern Literature at Emory University Feb. 10-12. "The international selection committee for the lectures discussed song as a part of world literature, and agreed that Simon was the obvious first choice," says Joseph Skibell, professor of English and creative writing at Emory and director of the lectures. The Ellmann Lectures consist of a series of public lectures that are ticketed but free and open to the public. Tickets will be available near the end of the university’s fall semester. Simon’s lectures will concern, in part, an overview of the historical antecedents of the music made between 1966 and 1970. Simon joins a distinguished roster of authors that has made the Ellmanns one of the leading literary lectures series in the English-speaking world. Ellmann Lecturers have included Nobel Prize laureates Seamus Heaney (1988) and Mario Vargas Llosa (2006), Salman Rushdie (2004), Umberto Eco (2008) and Margaret Atwood (2010).